I use CalGuard by Karuna Health as my daily calcium supplement. I really like it because it has the extra minerals needed for absorption. 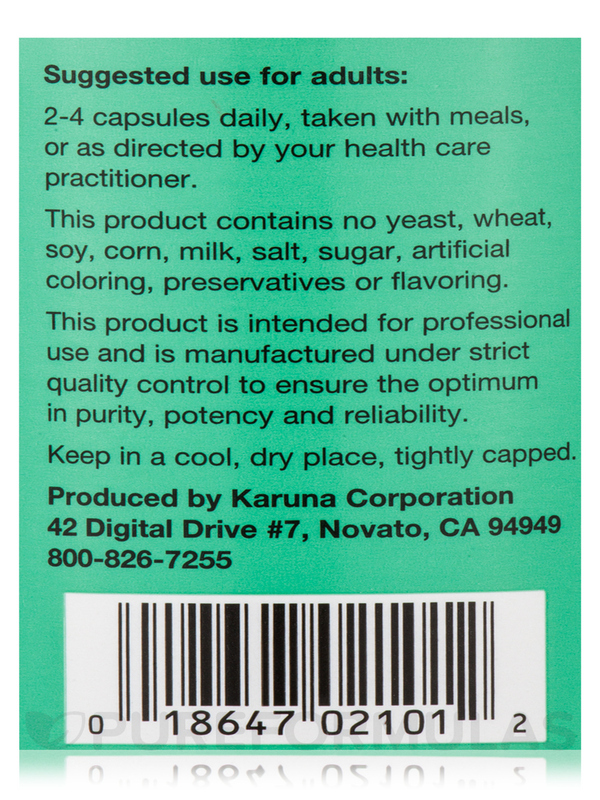 I have actually used CalGuard by Karuna Health before but ran out and was having difficulty with my previous source (my Chiropractor) being apply to supply it so when I found CalGuard at PureFormulas it was great. 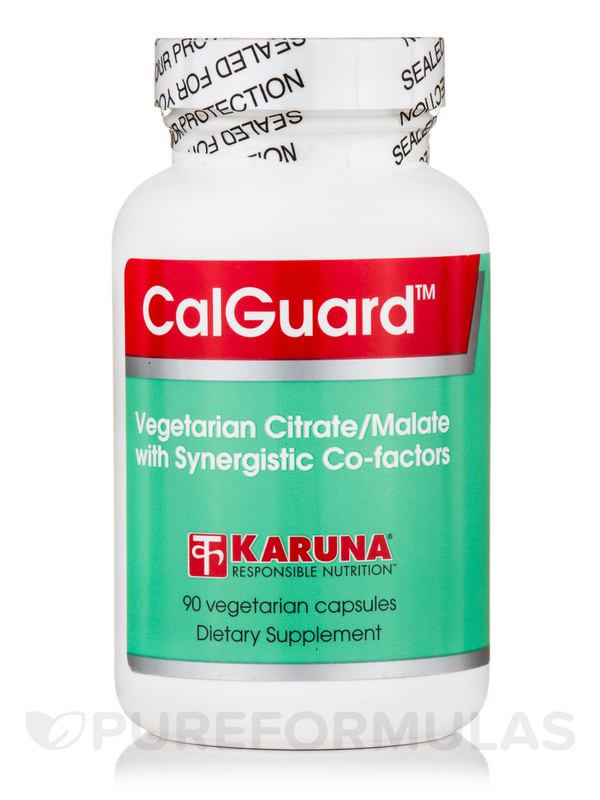 Karuna Health’s CalGuard is a supplement that provides you with a source of vegetarian calcium‚ which is essential if you don’t consume daily products. It’s usually well-absorbed and is based on the citrate-malate type of calcium. 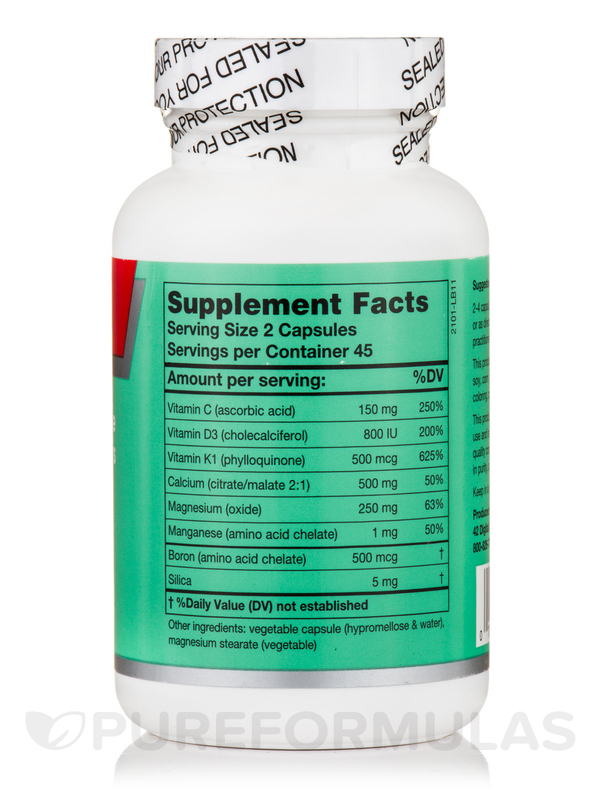 In addition‚ this supplement is balanced with bone-building nutrients—including the vital mineral magnesium. 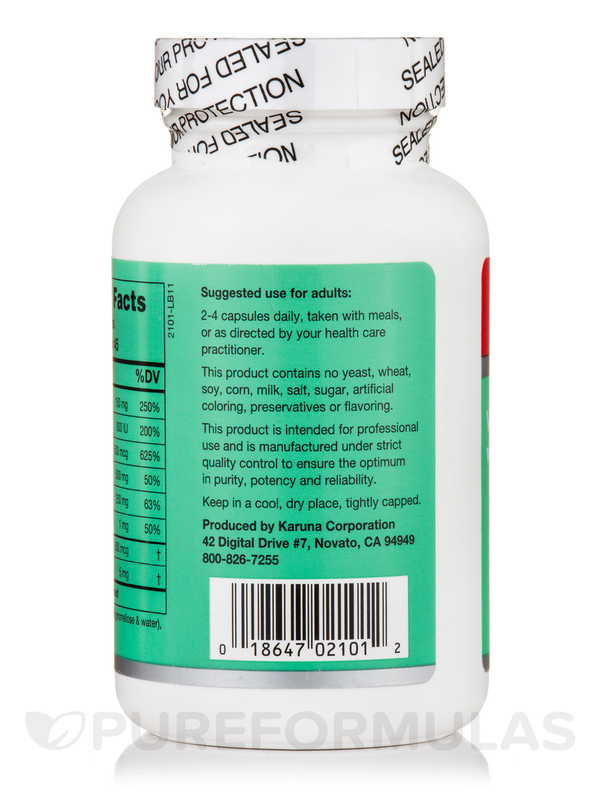 A significant amount of vitamin K is also contained in CalGuard; the amount in these tablets is much greater than how much is contained in similar supplements designed for bone support. Furthermore‚ vitamin D is supplied in its highly beneficial D-3 form‚ which allows for maximum bioavailability. These essential nutrients‚ along with the additional contributions of vitamin C and manganese‚ work together to provide support for optimal bone density and assist your skeletal structures in preserving their integrity even amidst minor traumas or injuries. Magnesium—This mineral can be found in every cell in the human body. Over 300 enzymatic processes‚ including energy production‚ involve magnesium. Magnesium is also essential to maintaining healthy bone density‚ normal cardiac rhythm and pulmonary function‚ regulating blood glucose‚ nerve conduction‚ converting into the active and usable form of vitamin B-6)‚ and muscle contraction. 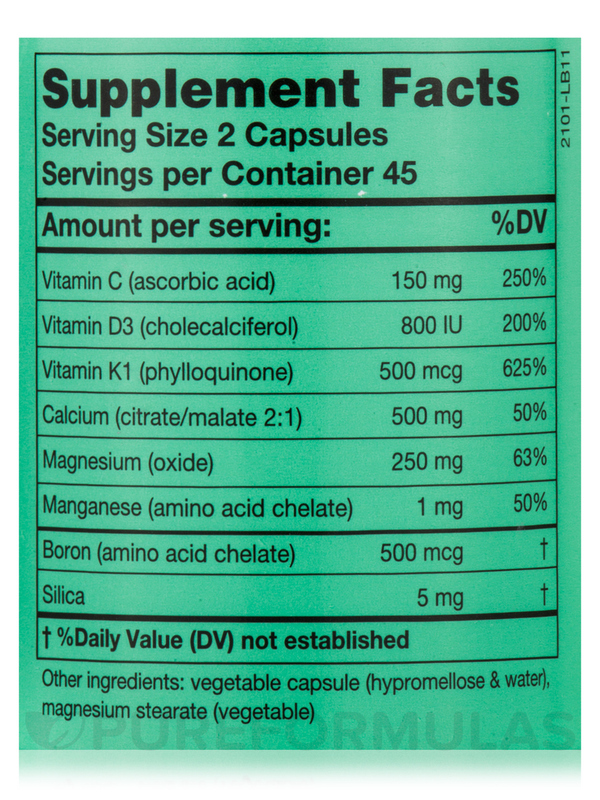 There are some indications that magnesium supplementation seems to provide significant and useful support in preserving existing normal bone density. Vitamin D-3 is the principal form of the nutrient used in supplements. This vitamin functions similar to a regulatory hormone‚ and promotes calcium and bone metabolism. Adequate amounts of vitamin D are critical for ensuring sufficient absorption of calcium from foods and supplements‚ as well as maintaining strong calcium plasma levels. Furthermore‚ studies show that activated vitamin D might contribute to obstructing the growth of some cancer cells. Do these features sound like what you’re looking for? If so‚ try CalGuard by Karuna Health today. *Plant silica source providing 20mg silicon per serving. Dicalcium phosphate‚ cellulose‚ vegetable stearine. Keep in a cool‚ dry place tightly capped. I have been taking CalGuard by Karuna Health for many years as recommended by my acupuncturist. I have purchased this supplement through him, but he is now on sabbatical, so I needed to find another source. With the new customer discount, this was actually less expensive than buying it from my acupuncturist, who only charged me what he paid for it. Good source of calcium that is usable by bones, especially in the mix with other vitamins and minerals contained in each pill. The pills are big, and I take four a day. Me and my husband have used CalGuard by Karuna Health for over a year. We each take four and now three tablets a day and have had good results in reversing osteoporosis t- scores at least for my husband. We have checked my husbands and not mine---since it has been only one year that my t-score showed beginning of osteoporosis. We also take 2000iu of vitamin D3. No actenol or fosomax etc. Readily absorbable quality calcium. Everybody is different but CalGuard works great for me. Previously I had tried a different brand and I started to just feet achy in my joints. When I got back to Karuna Health CalGuard aches disappeared. Zero ... nothing to dislike as far as for me. CalGuard by Karuna Health was recommended by my accupanturist. Along with the EPAQ krill oil this is a great product.